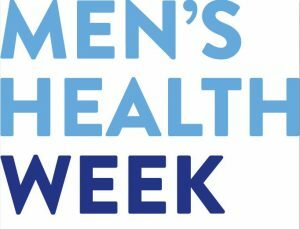 Monday 11th June 2018 was the beginning of Men’s Health Week. This weekly event is hosted by the Men’s Health Forum and is there to highlight the importance of men’s physical and mental health. Studies have proved that staff wellness programmes have reduced levels of sickness, and absences. Good employee health is good for business, but this has become an issue with only 37% of male employees visiting their GP in the last three months. Why is this? Men do not want to take time off from their working hours. Research shows that 34% of working-age men are reluctant to take time off work, especially for mental health issues as they would feel embarrassed or ashamed. This can result in the high result of men committing suicide. 52% of men suffering from mental health do not feel comfortable enough to tell their employer about their condition, due to fear of what they would think of them. Being Male – Men are more likely than women to address stress through risks such as misusing alcohol. Relationship breakdowns – A marriage breakdown is more likely to lead men to suicide. Mid-Life – People in mid-life are experiencing unhappiness more so than younger and older generation. Emotional illiteracy – Men find it harder and have a less positive view on speaking to a therapist. Socio-economic Factors – Unemployed people are more likely to die from suicide than those who are in work.